Last month I posted about the reveal of the Brymay ad opposite Upper Holloway Station which happened after the new bridge was finished on Holloway Road and followed a year of upheaval including diversions and tail backs such that the Archway roundabout at the northern end of the road, which was also undergoing reconstruction at the same time, was spookily quiet. And, as it turned out, a perfect time to resurface Holloway Road revealing the old cobbles for about 30mins (I must dig out those pics). The cute little Victorian letterbox that used to be by the entrance to the station hasn't been reinstated. Top row shows 2008 and 2014. Bottom row shows how the wall letter box was recorded at that site in 1909, and bottom right is how the bridge wall looks now. So where is this wonderful old piece of Victorian metalwork? Who has it? News please. 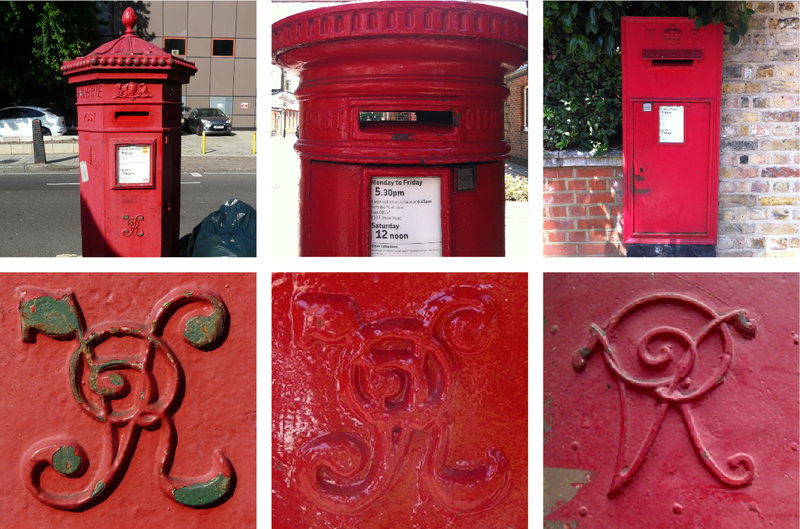 Whilst I am on the subject of Victorian letterboxes, I noticed last month that the Penfold acanthus pillar box in St Pancras Way, NW1, has moved to the other side of the road since the last time I took a snap of it which must have been approx 10 years ago. Why is that? But hey, at least it's still there. This and more oddities in the pics below. Top right – the Penfold box in St Pancras Way and below it a close up of its VA motif showing that the box used to be painted green. Middle top – the box in the gate at Chelsea's Royal Hospital – accessible from both sides! 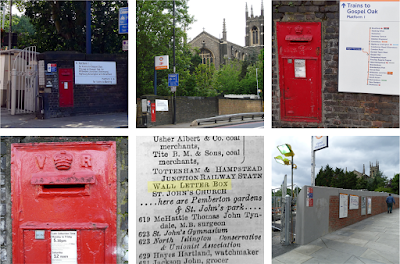 Top right – a wall letterbox, also in Chelsea – the same design as the lost Upper Holloway. 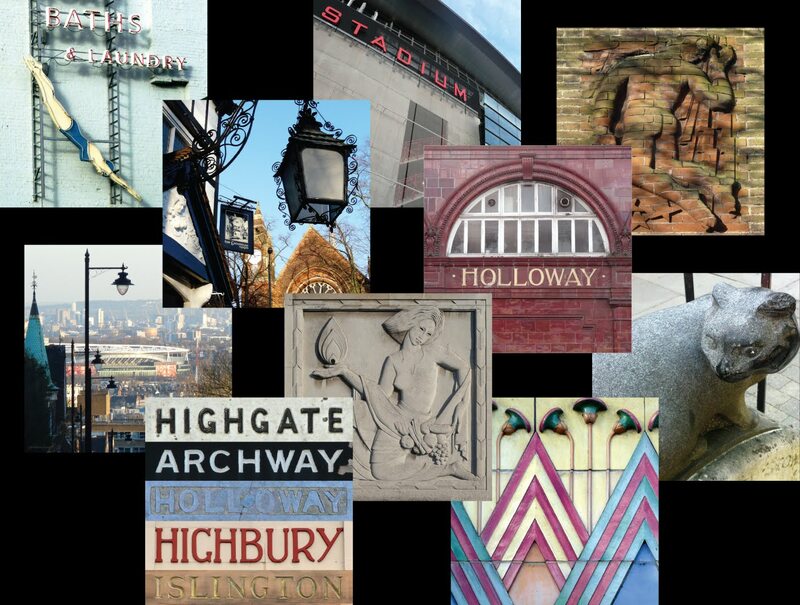 On the bottom row – a VR in London N6 is really thick with paint – compare it to the ones either side it and note also how the one bottom right, (EC4) has a different monogram design. The architect probably thought it would spoil the lines of his dynamic new wall. These people have no soul! You mean someone actually designed that wall? Didn't a brickie do it? Of course! A brickie just sticks the components together, it takes a very expensive architect to establish the aesthetic of the wall and how it relates to the overall environment. Really!